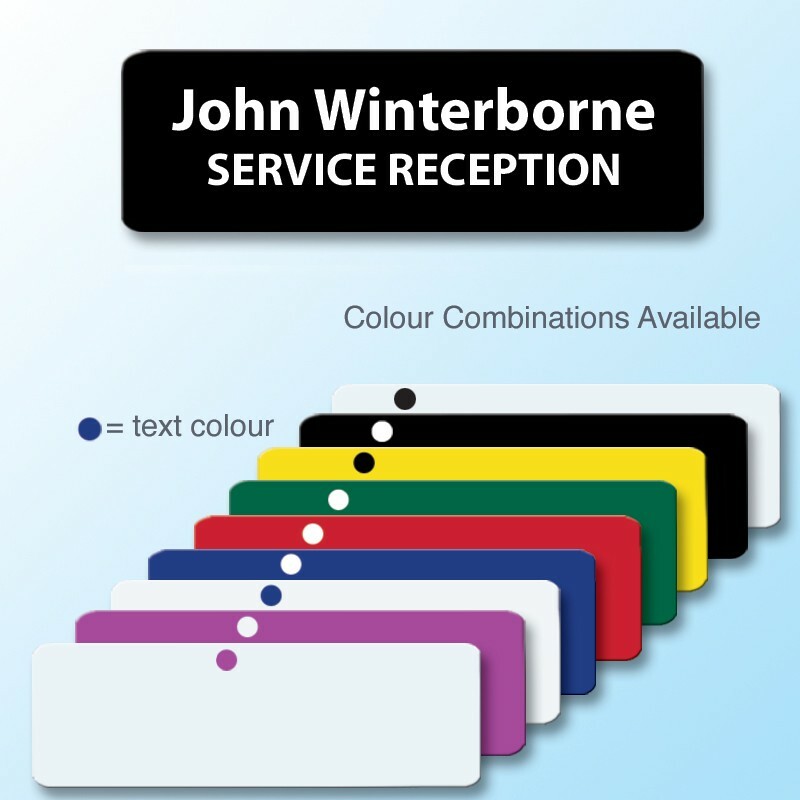 Panel Badge 73x23mm - 2 lines of personalisation. 2 Lines of personalisation choose your colours and fonts. 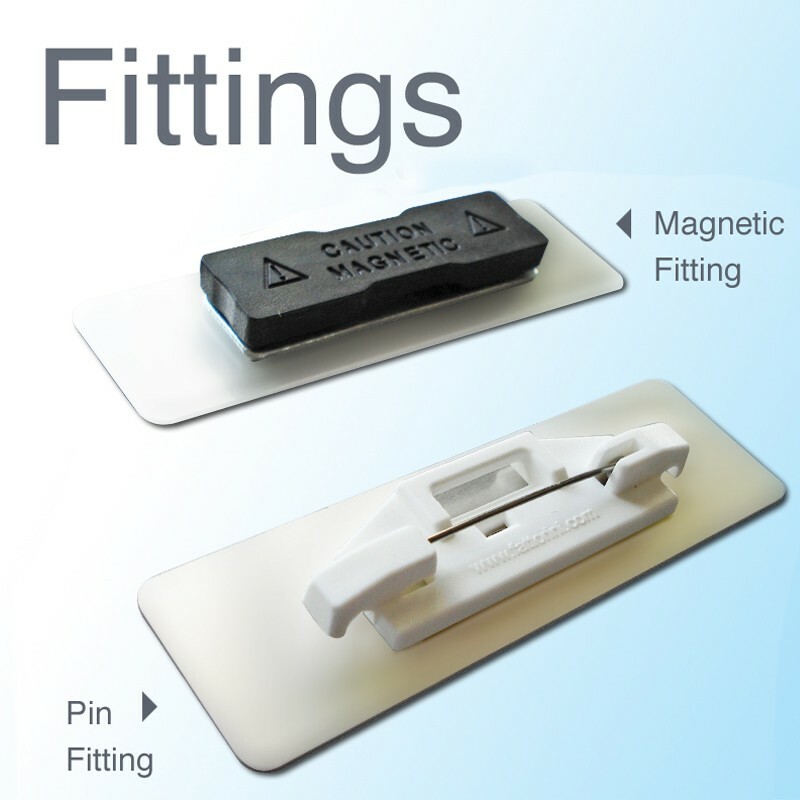 73 x 23mm Panel Badge - printed professionally for you; using the most up to date equipment. This badge suits up to 48 characters of text balanced over two lines. 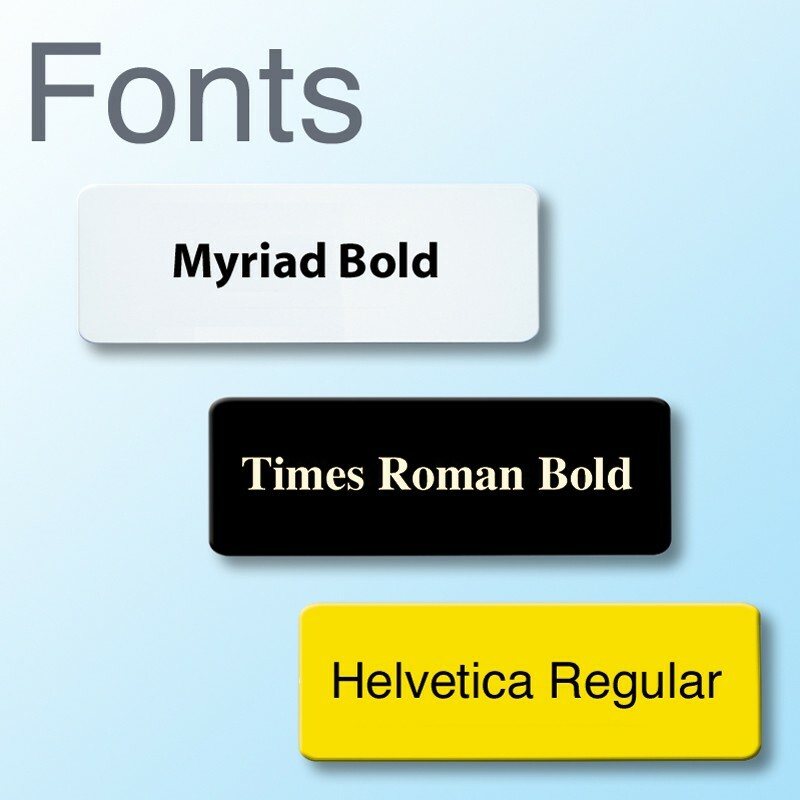 3 fonts available - Myriad Bold, Times Bold and Helvetica Regular. Extremely lightweight rectangular badge, 0.7 mm thick x 73mm wide x 23mm tall.